A charming set of 6 French collapsible chairs from a circus in painted iron. 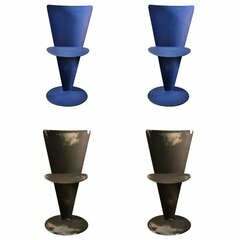 Soundly constructed and very sturdy. 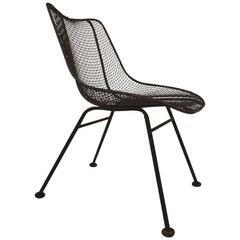 Perfect for garden dining. Charming as they are - or ready to refinish. 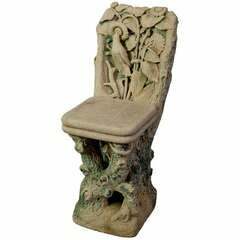 A rare antique Italian garden or park chair made of hand-carved sandstone. Wonderful carvings designed as branches, leaves, flowers and a bird. Executed 1910 Piemont, Italy.